They are some of the biggest legends of the music industry, ever. And now a 'spectacular' tribute to three of the greatest entertainers of all time will be arriving at the Lichfield Garrick theatre on Saturday 9 September. 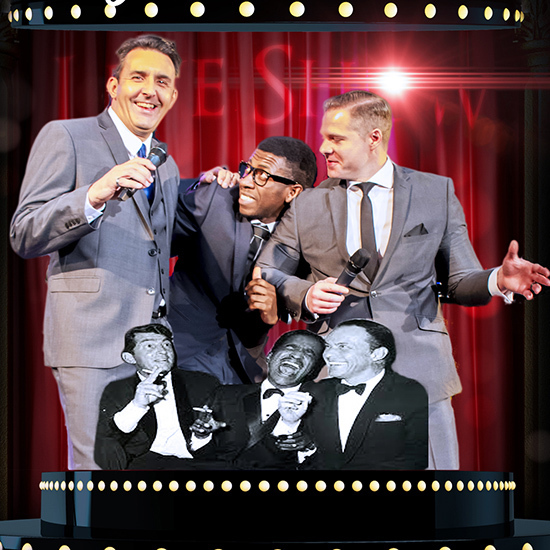 The live stage show, which is called The Rat Pack Vegas Spectacular, pays suitable homage to the combined talents that were Frank Sinatra, Dean Martin and Sammy Davis Jnr, widely known at The Rat Pack. The show promises to take music fans back to the golden years of The Rat Pack in the 1960's when they regularly wowed audiences worldwide but most notably at The Sands Casino in the gambling capital of Las Vegas, USA. The Rat Pack Vegas Spectacular live stage show is widely regarded as one of the best tributes to this bygone era, with all the cool, glitz and glamour of those heady days in the 60s. Now entering its 16th consecutive year, this newly revised production of the show will feature a stunning new stage set, a new Dean Martin in the guise of Phil Barley, and a new direction which organisers promise will lift it to a greatly enhanced level of performance. Every song promises to be a familiar classic, including Come Fly with Me, That's Amore, Under My Skin, Mr Bojangles, That's Life and Mack the Knife. The entertainers will also be joined by The Vegas Showgirls, bringing their own glitz and glamour to the show, plus a live big band, The Rat Pack Orchestra.